I have not properly blogged since starting work again. It's amazing how much more 'creativity time' you have when you are out of work!!! But I have noticed and I will make a concerted effort to be better! 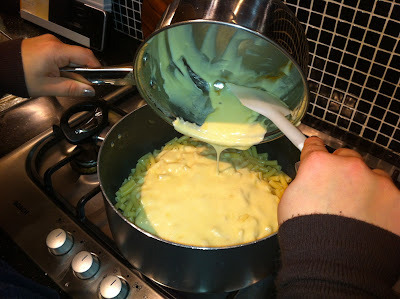 So, my first effort back into the blogosphere is homemade mac & cheese which admittedly I've not ever made before. I fell into the North America KD trap many times for the sake of ease and now not living in the N.A. anymore it's not as readily available. Also, as I get older and realise just how utterly unhealthy boxed KD is I've decided to make a concerted effort to make REAL mac and cheese. So VOILA! 1. 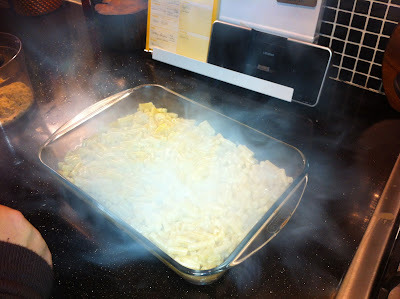 Preheat the oven to 180 C. Prepare a 9" x 13" casserole dish with nonstick cooking spray. 2. 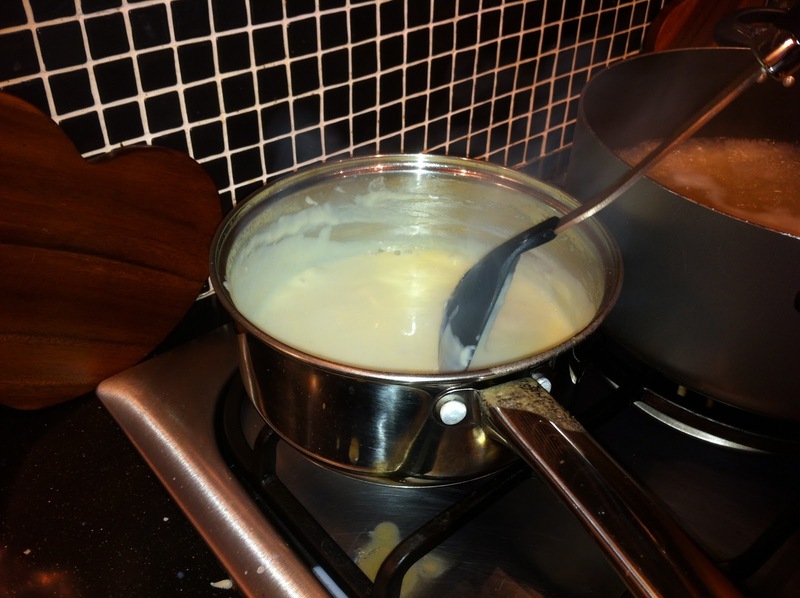 Place the butter in a medium saucepan, melt over medium-low heat, and cook until foaming. Add the flour and stir well with a wooden spoon for 1 to 2 minutes. Slowly pour in the milk, whisking to incorporate. 4. 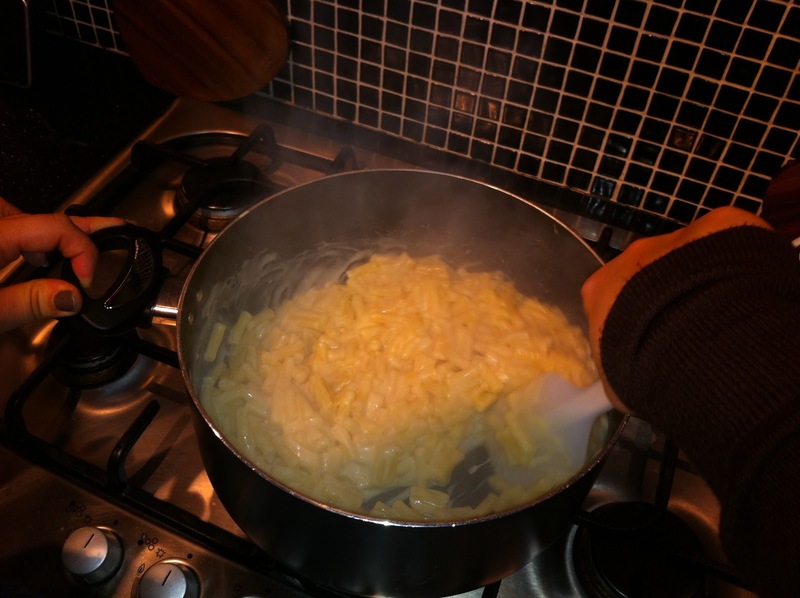 Meanwhile, cook the pasta according to package directions, but don't salt the cooking water. 5. Remove the studded onion from the sauce and discard. 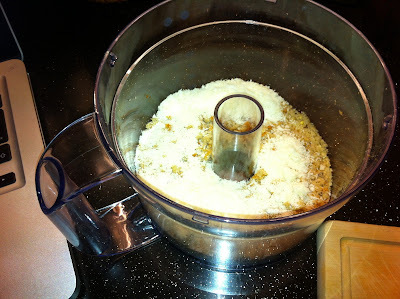 Add the Swiss and cheddar cheeses. Stir to combine and heat the sauce until the cheese is just melted. Season with salt and cayenne. 6. In a large mixing bowl, combine the sauce, bacon, and cooked macaroni; toss to coat. Combine the breadcrumbs and Parmesan in a small bowl. 7. 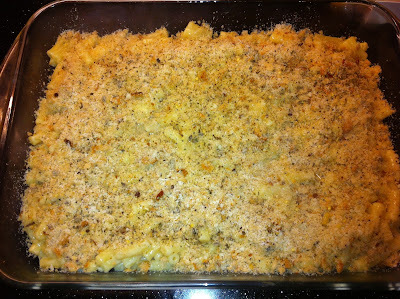 Pour the pasta mixture into the prepared baking dish and top with the breadcrumbs and Parmesan. Bake uncovered until bubbly and golden, about 15 minutes.